Numen from Owens and Crawley on Vimeo. Numen is an homage and exploration of the three elements in the corresponding definition: natural object, phenomenon, and place. 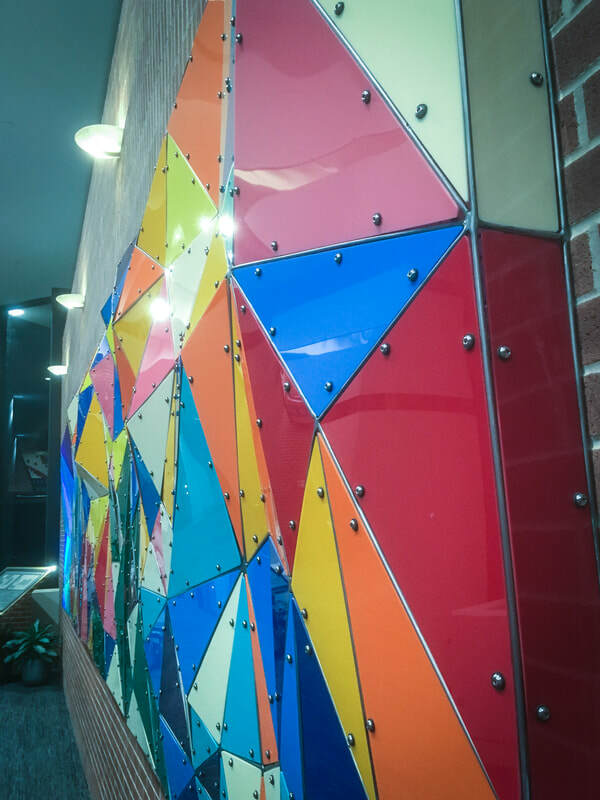 It is a 6'h x 24'w x 10"d lighted wall relief installed at Huntington University in Huntington, IN. Numen, first, explores the spiritual force within a natural object by emulating the reduced image of a landscape by incorporating colors that embody the mood of earth, water and sky. This natural landscape is then juxtaposed by manufactured materials (steel and plastic). As the artists explored the idea of the spiritual influence of a phenomenon they looked no further than light. Light is already a spiritual symbol. 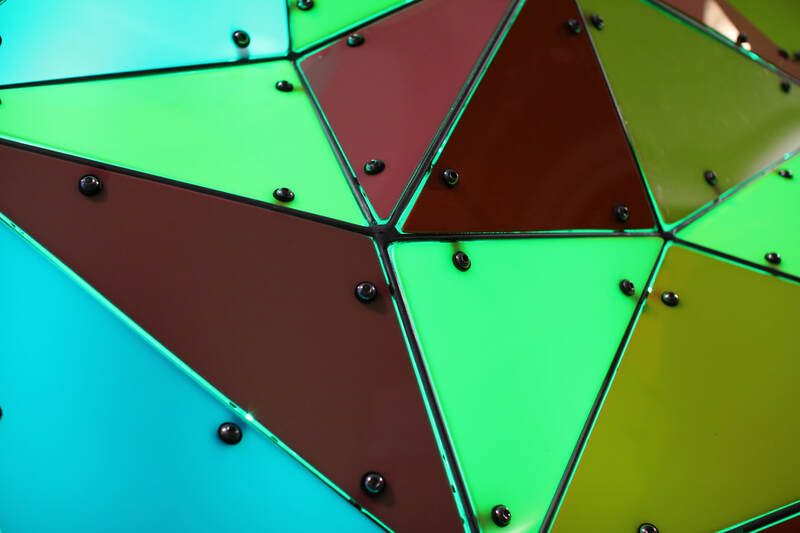 As the internal light program shifts and alters the physical color of the plastics used as filters, the work takes on the perception of a living object: as if this continual fluctuation of light imbues a palpable emotive sense of breathing. ​Finally, the spiritual force or influence of space has been intentionally exaggerated in the overall design aesthetic. 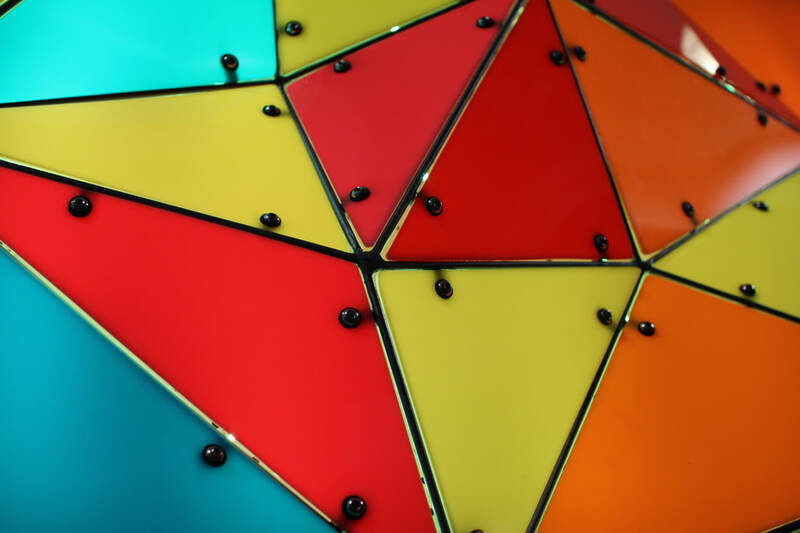 The artists were inspired to create a work that honors the history and use of stained glass patterns and designs within churches as an enhancement of the act of worship. The artists hope this sculpture brings an unexpected numinous quality to this space.